Governor Andrew M. Cuomo today announced continued mobilization of state and local resources to help Suffolk County recover after the massive winter storm that left close to three feet of snow across Eastern Long Island. Albany, NY - February 10, 2013 - Governor Andrew M. Cuomo today announced continued mobilization of state and local resources to help Suffolk County recover after the massive winter storm that left close to three feet of snow across Eastern Long Island. More than 529 pieces of equipment, including 412 additional plow trucks, and 731 operators arrived during the past 24 hours and through the night. In total, more than 675 pieces of snow removal equipment and 975 personnel are currently in Suffolk to augment ongoing local recovery efforts and help clear roads ahead of Monday morning’s rush hour. 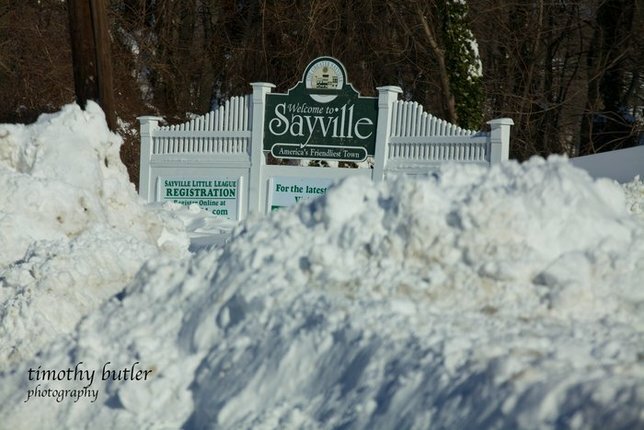 As a result of actions taken by the state, more than one third of the state’s snow removal assets have been deployed to Suffolk County, representing one of the largest mobilizations to recover from a winter blizzard in the state’s history. The additional resources were redeployed from around the state as local snow removal efforts were completed, freeing up equipment and personnel to be redirected to Long Island. Adequate resources remain in all regions of the state to address any expected weather impacts in the coming days. Additional equipment includes snow blowers, loaders, graders, trailers, backhoes, and tow trucks. Subject: LongIsland.com - Your Name sent you Article details of "Governor Cuomo Announces Hundreds of Plows and Crews From Across the State Working Around The Clock on Snow Removal in Suffolk"